Carrie-Anne Fields has owned and operated My Health Broadbeach, Gold Coast, Australia since 1998, specialising in yoga, counselling, acupuncture, reiki, tarot and ka huna bodywork. She holds a Bachelor of Psychology, is a Reiki Master, and is certified in acupuncture, kinesiology, Swedish Massage and Ka Huna Bodywork. Carrie-Anne is an accredited Level 3 Senior Yoga Teacher with Yoga Teacher’s Association of Australia and an ambassador and regular contributor for Australian Yoga Journal magazie. 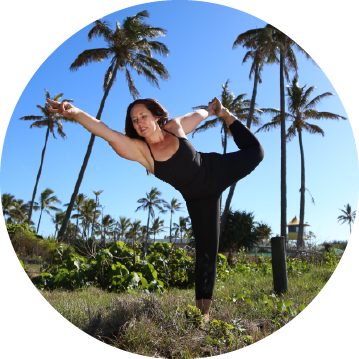 Carrie-Anne has studied yoga for over 20 years with various teachers in Australia, Europe, India, Thailand, Bali and America. My Health Yoga has studios in Broadbeach on the Gold Coast and in New Farm, Brisbane, Australia and runs teacher training courses from Gold Coast, Brisbane, and online.